Tickets are on sale now for the annual Benefit Concert for the Shriners Hospitals for Children hosted by Darin & Brooke Aldridge and featuring Hall of Famer Jimmy Fortune. Tickets are $20. 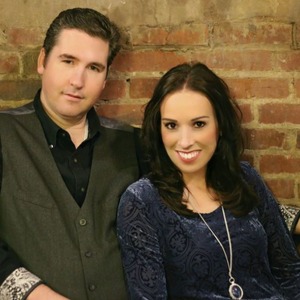 The Concert will be at 7 pm April 19, 2019 in Starnes Auditorium, 401 E. First St., Cherryville, NC. TicketsNC.com has a limited number of RESERVED SEATS AVAILABLE online at www.TicketsNC.com. These seats are center section rows E thru L and are among the very best in the auditorium. Just go online, pick your seats and pay using your credit card or PayPal account. A fee of $2.50 per ticket is added for tax, credit card and processing fees. General Admission tickets are available from members of the Cherryville Shrine Club or at several local businesses. All proceeds from the event go to the Childrens Hospitals. A great way to spend your Good Friday evening!